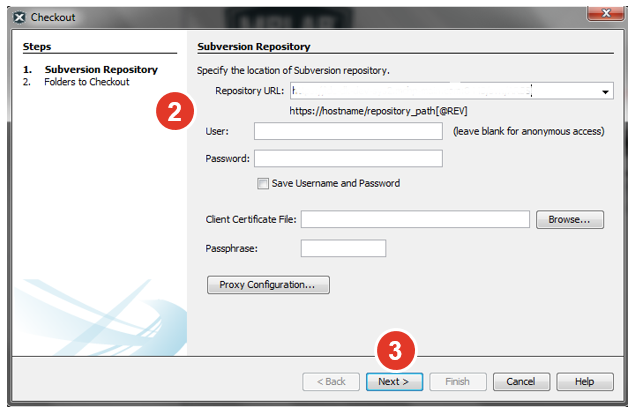 The following section describes how to synchronize local files with a Subversion repository. Open a Subversion project in MPLAB® X IDE. MPLAB X IDE scans open projects and if they contain .svn directories, file status, and context-sensitive support automatically becomes active for Subversion versioned projects. 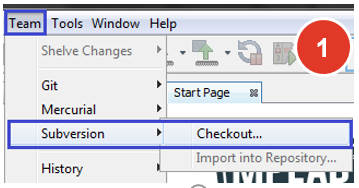 From the main menu choose Team>Subversion>Checkout. Enter a URL that contains the connection protocol and location of the repository you want to connect to. Depending on the protocol you use, you may need to enter other information, such as username and password. Specify the folder that you want to check out or use the Browse button to select among folders maintained on the repository. Enter a revision number in the 'Repository Revision' field (HEAD is the default). Enter a location on the computer to where the files are to be checked out. 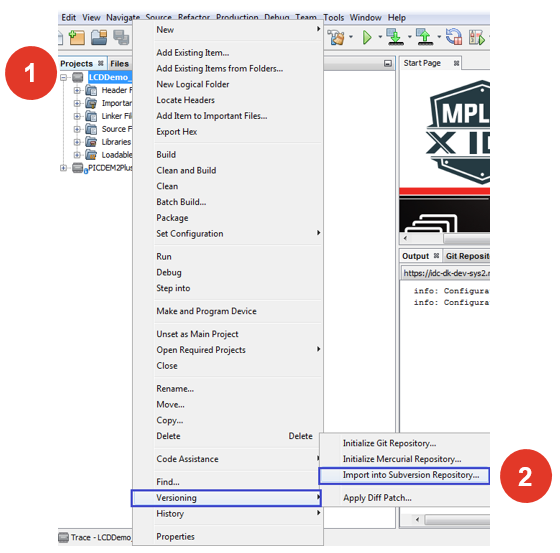 Import a project you have been working on in MPLAB X IDE to a remote repository. In the Projects window, right-click the file(s) you want to commit. In the context menu, choose Versioning>Import into Subversion Repository. In the Subversion Repository panel of the Import wizard, specify the protocol and location of the Subversion repository. Depending on your selection, you may need to specify further settings, such as repository username and password. 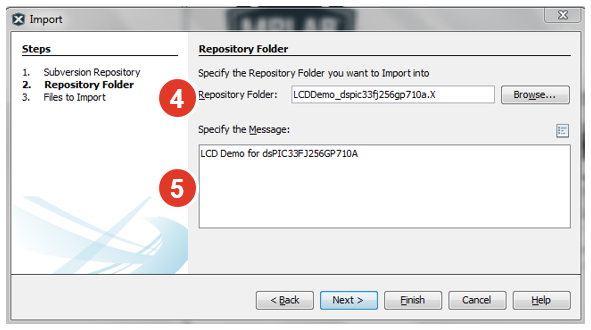 Specify the repository folder in which you want to place the project in the repository. A folder with the name of the project is the default. Enter a description of the project being imported into the repository. Click Finish or click Next to preview files prepared for import. View files that will be imported. Right-click on row for file or folder specific options (e.g., exclude from commit). Click Finish. The IDE uploads the project files to the repository and the Output window opens to display the progress.